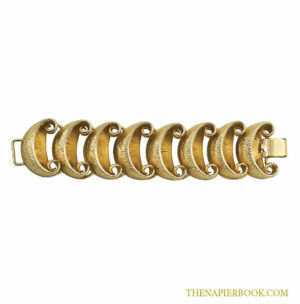 Size or Measurement: 7 3/16″ tl x 1″ w.
Description: Fabulous Napier Milano Collection bracelet with five segments or links. Each link is surmounted by oval and circular cabochons in hues of ruby, blue and amethyst colors. 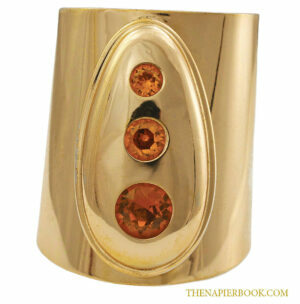 This bracelet is part of the 1988 Milano Collection designed by Napier.